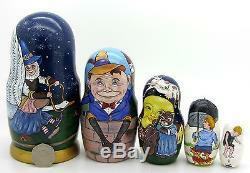 Wooden set of 5 nesting dolls made as NURSERY RHYMES CHARACTERS. 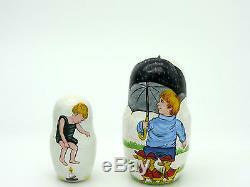 Height of the biggest doll is 17.2 cm or 6 3/4 inches. Yes it is 50 p in front of the dolls in the photo to show size A very unusual item, too good to miss. 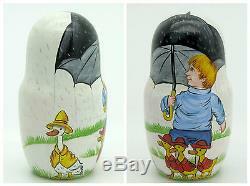 Mother Goose as nursery rhyme. John Newbery was once believed to have published a compilation of English nursery rhymes entitled Mother Goose's Melody, or, Sonnets for the cradle some time in the 1760s, but the first edition was probably published in 1780 or 1781 by Thomas Carnan, one of Newbery's successors. This edition was registered with the Stationers' Company in 1780. However, no copy has been traced, and the earliest surviving edition is dated 1784. 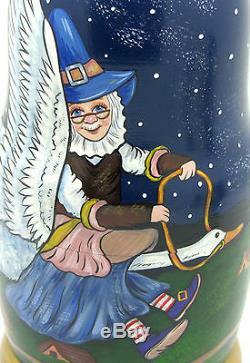 The name "Mother Goose" has been associated, in the English-speaking world, with children's poetry ever since. In 1837, John Bellenden Ker Gawler published a book (with a 2nd-volume sequel in 1840) deriving the origin of the Mother Gooserhymes from Flemish ('Low Dutch') puns. In music, Maurice Ravel wrote Ma mère l'oye, a suite for the piano, which he then orchestrated for a ballet. 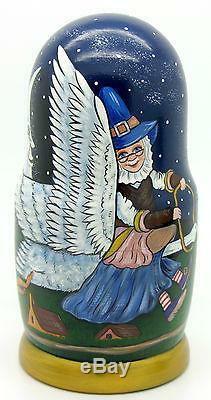 There is also a song called "Mother Goose" by progressive rock band Jethro Tull from their 1971 Aqualung album. The song seems to be unrelated to the figure of Mother Goose since she is only the first of many surreal images that the narrator encounters and describes through the lyrics. When she wanted to wander. Would ride through the air. On a very fine gander. Jack's mother came in. And caught the goose soon. Flew up to the moon. Humpty Dumpty is a character in an English nursery rhyme, probably originally a riddle and one of the best known in the English-speaking world. 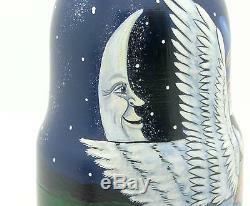 Though not explicitly described, he is typically portrayed as an anthropomorphic egg. The first recorded versions of the rhyme date from late eighteenth century England and the tune from 1870 in James William Elliott's National Nursery Rhymes and Nursery Songs. Its origins are obscure and several theories have been advanced to suggest original meanings. 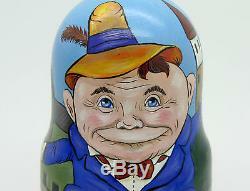 The character of Humpty Dumpty was popularised in the United States by actor George L. As a character and literary allusion he has appeared or been referred to in a large number of works of literature and popular culture, particularly Lewis Carroll's Through the Looking-Glass (1872). The rhyme is listed in the Roud Folk Song Index as No. Humpty Dumpty sat on a wall. Humpty Dumpty had a great fall. All the king's horses and all the king's men. Couldn't put Humpty together again. The name " Cat and the Fiddle" was a common name for inns, including one known to have been at Old Chaunge, London by 1587. Among the best known is the isolated pub at the high point on the A537 road crossing the hills from Buxton to Macclesfield, which route is generally known among the local population as "the Cat & Fiddle road". In the 1970s80s a nearby café on the same road was the "Dish & Spoon". 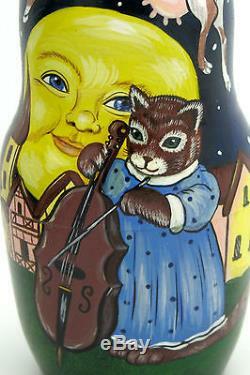 The cat and the fiddle. 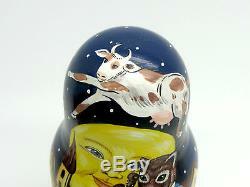 The cow jumped over the moon. And the dish ran away with the spoon. There are few versions and variations of this rhyming couplet. The most common modern version is. Similar rhymes can be found in many societies, including ancient Greece. The modern English language rhyme can be dated to at least to the 17th century when James Howell in his collection of proverbs noted. Raine raine goe to Spain: faire weather come againe. A version very similar to the modern version was noted by John Aubrey in 1687 as used by "little children" to charme away the Raine... A wide variety of alternatives have been recorded including: "Midsummer day", "washing day", "Christmas Day" and "Martha's wedding day". In the mid-19th century James Orchard Halliwell collected and published the version. Little Arthur wants to play. In a book from the late 19th century, the lyrics are as follows. Little Johnny wants to play. The rhyme is first recorded in a manuscript of around 1815 and was collected by James Orchard Halliwell in the mid-nineteenth century. Jumping candlesticks was a form of fortune telling and a sport. Good luck was said to be signalled by clearing a candle without extinguishing the flame. All my dolls fit inside one another. Or better yet Be sure to add me to your. And see more unique and interesting things pop up. We speak French , English , German and Russian. Please leave feedback once you have recived the item so that i know it has arrived safely. I will leave feedback in return. Smoke & Pet Free Item. 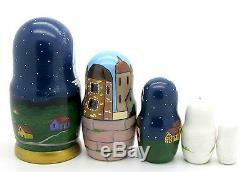 The item "Russian 5 Nesting Dolls Matryoshka Mother Goose Humpty Dumpty Cat and Fiddle" is in sale since Tuesday, June 20, 2017.